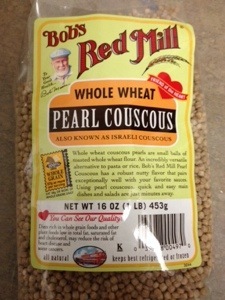 Have you ever heard of Pearl Couscous? I hadn’t up until a few weeks ago. I saw a coworker eating it at the kitchen table at work. I asked, “What kind of grain is that?” “Pearl couscous”, he said. “Would you like to try some?” And try some I did. And then just another spoonful more. Such a yummy, nutty flavor to it! I liked it so much that I made a point to find some when I went to the grocery store later that week. Searching the Web and Pinterest, I easily found a bunch of recipes. Tonight, I was inspired by a post from Your Food Life. 1. Boil the vegetable broth and water, then add the Pearl Couscous. Reduce heat to a simmer and cover. Let it cook for about 20 minutes. Mix in a 1/2 tbsp or less of butter once the liquid is almost vaporated. 2. 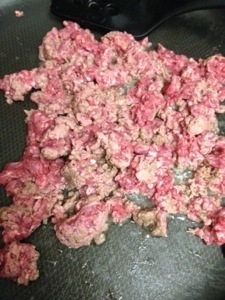 Brown the ground beef on a separate pan, then set aside. 3. Peel the tomato and chop it in the half. Then peel the onion and chop it in half. 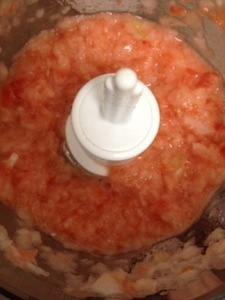 Blend both ingredients together into a puree. 4. Mix the puree with the ground beef and cook with a drizzle of olive oil for about 3 minutes. 5. 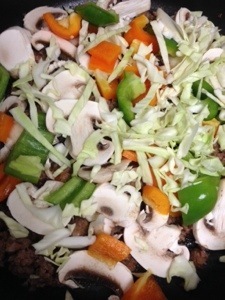 Chop remaining veggies and add them to the pan. 6. Once the veggies are almost done, break the egg into a bowl and whisk. 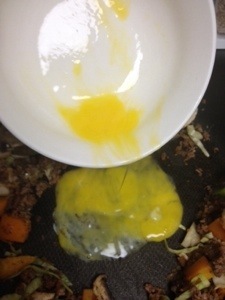 Then make a space on the pan and slowly pour in the egg. Wait a minute or two, then mix it in with the rest of the ingredients. 7. Season the beef-veggie stirfry then serve with your delicious Pearl Couscous. 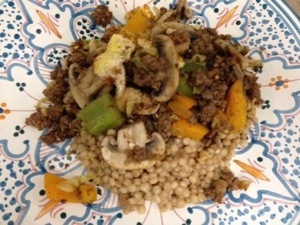 This entry was posted in Main Courses and tagged dinner, food, ground beef, pearl couscous, recipe, Vegetables, veggies. Bookmark the permalink.